The management of thermal loading and heat transfer is paramount to the design of many mechanical products and structures. 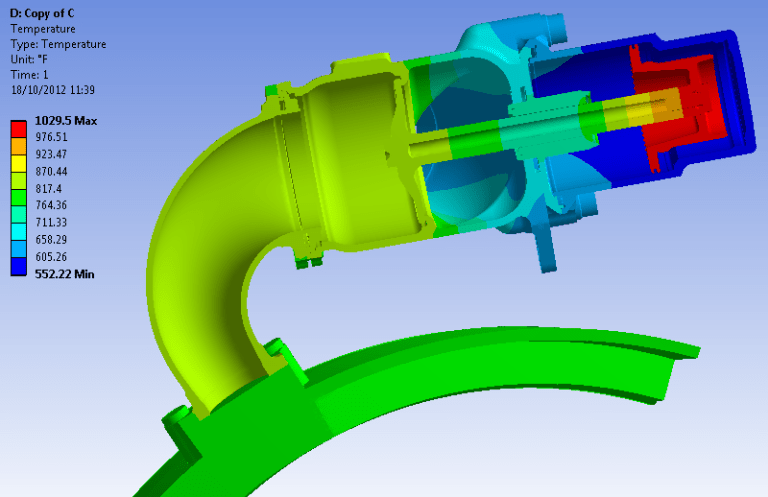 Here at Mechanika, we provide Steady-State and Transient FEA Thermal Analysis services. Our expert understanding of thermal analysis means that we are aware of the various pitfalls concerning the selection of boundary conditions and fixtures, which can influence thermal growth (thermal expansion) and stress for various temperature gradients. Using FEA we are able to model Conduction, Convection, Radiation and the combination of all of the aforementioned occurring simultaneously over any temperature profile and time duration. After modelling and quantification of the thermal profile of the equipment, we are able to use our expert Stress Analysis Service to calculate the thermal loading effects, which may cause deflection and stress within the assembly. We are able to offer our expertise in Design Optimisation to enable our clients to control the thermal effects and reduce/eliminate undesirable thermal loading within their designs. We are able to balance thermal loads, temperature distributions and heat transfer rates to a desired target to enable the full optimisation of the system.